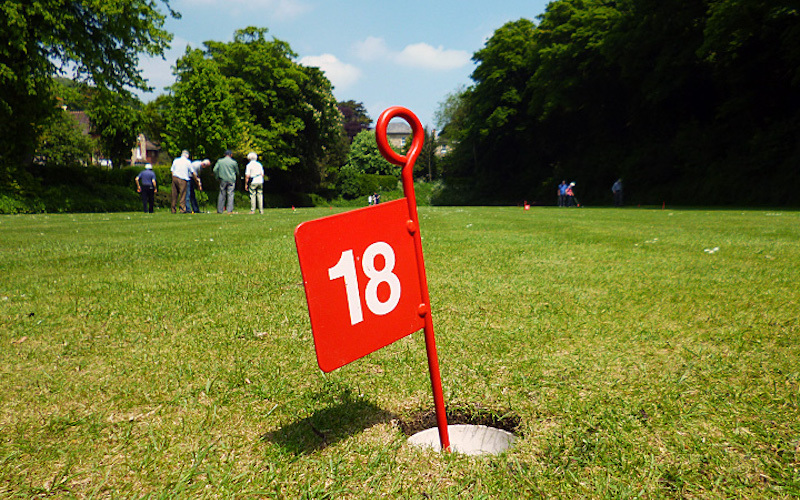 Have fun and play a round on our traditional 18 hole putting green. 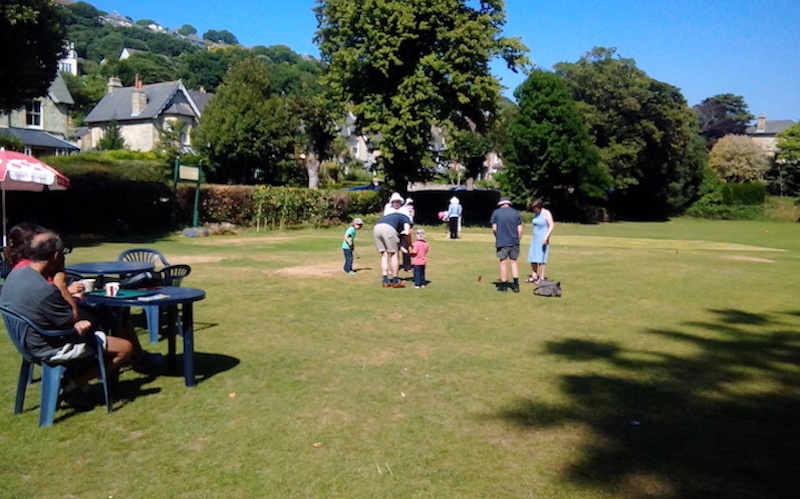 Or play table tennis in the park, as the buzzards fly above you – and then enjoy a cream tea afterwards. 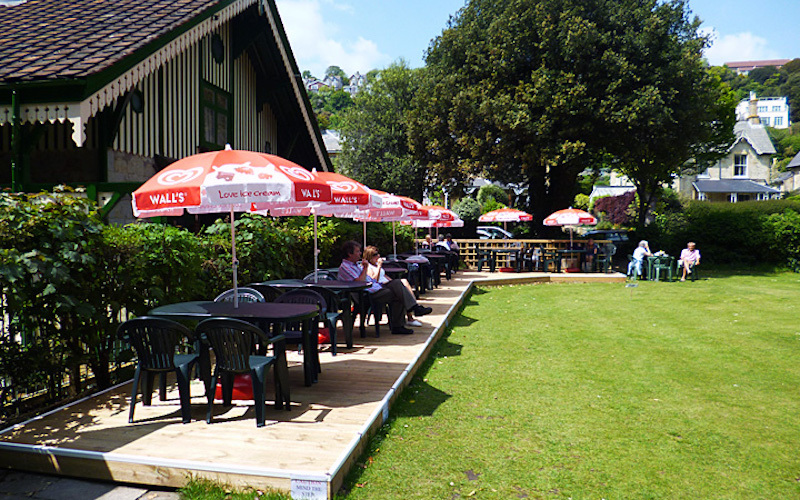 Rain stops play – but that doesn’t happen very often, as we’re based in one of the sunniest spots in England! 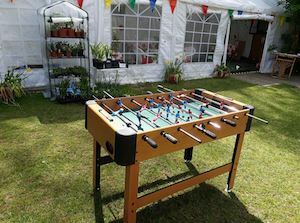 Come and play table football in the sun - we've also got giant games for children including Connect 4, Noughts & Crosses, Dominoes and Lego.